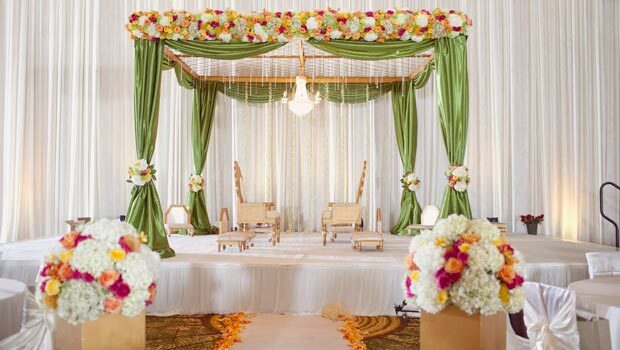 Indian Weddings : Choose from a variety of wedding Vidhi Mandaps, Varmala & Bridal Stages for your wedding in Goa. 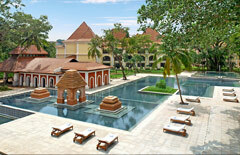 Also stroll through the various themes that you could use for your Mehndi & Sangeet functions in Goa. Western Weddings : Western wedding reception parties have a taste and style of their own. Choose from a variety of bridal stages, top tables and complete wedding themes which bring glamour to your destination wedding in Goa. Beach Weddings : The Big Day Wedding Planners are specialists in planning beach weddings in Goa which come with their own set of challenges compared to regular weddings. Besides our regular decorating services we also take care of aquiring beach licences, event security and beach cleaning facilities which are all necessary to create the fairytale beach wedding. Theme Nights : We can bring in any theme from across the world to your wedding in Goa, right from the traditional Rajasthani & Mughal themes of north India to the famous European Mardi Gras & Moroccan Harem Nights of the middle-east. 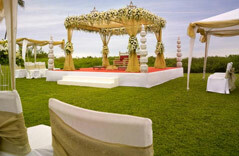 You could also create your own fusion of themes at your wedding in Goa. We are a specialized destination wedding planning team based in Goa providing complete planning, production and co-ordination of your entire wedding in Goa. Every wedding we organize is tailor-made and customized to your taste while keeping in mind your wedding budget. Our Wedding Planning Services include Complete Wedding Décor & Florals, Wedding Mandaps, Wedding Flowers, Wedding Bands/DJ’s & Entertainers, Wedding Cars, Wedding Catering, Wedding Cakes, Wedding Invitation Cards & Media, Goan Theme Weddings, Goan Beach Weddings & Traditional Weddings in Goa.